I am writing on behalf of all of the staff at Ben Porat Yosef. The food that Hummus Elite provided for our staff Chanukah party was both fresh and delicious. From the kibbeh to the schnitzel and meatballs to the falafel and salad, the staff really enjoyed all of the food. 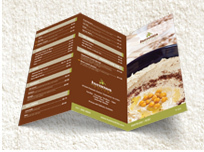 We appreciate your willingness to work with us to create a filling menu that fit into our budget. We will surely consider Hummus Elite for catering future events at the school. My wife and I want to thank you and Giyora for the wonderful food and service we received from you. We wanted to serve good Israeli style food at our New Year's celebration. Hummus Elite provided more than good. Our friends raved about the delicious entrees – short ribs and chicked with vegetables. Everyone greatly enjoyed the appetizers and baklava. The party was spectacular, much of that due to your catered feast. We look forward to frequently eating at Hummus Elite throughout 2012.